The subject of sea flame barrages was discussed during a recent episode of the BBC's Coast series; there's been a few myths surrounding this weapon that I would like to clear up. In a nutshell, the weapon was used to pump oil onto the surface of the sea and set it ablaze in the face of a German invasion. 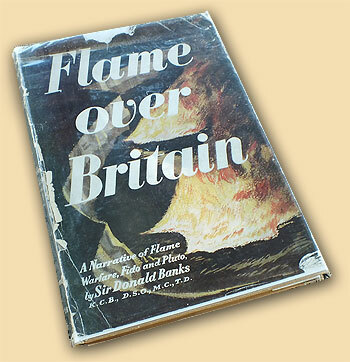 A good starting point is the 1948 book Flame Over Britain by Sir Donald Banks KCB, DSO, MC, TD, who headed the Petroleum Warfare Department (PWD) from its creation in July 1940. Inspired by historical descriptions of the ancient Byzantine Greek Fire weapon, the PWD set about developing incendiary weapons that would have both a physical and psychological effect on the enemy. 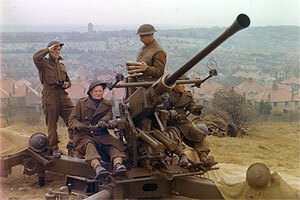 Two such devices were quickly produced and were intended to be operated by the infantry or Home Guard. The Static Flame Trap (or Flame Jet), enabled a stretch of road to be saturated by oil fed from a gravity tank high up on the roadside bank, via a system of pipes and nozzles. The oil was then ignited at an opportune moment. I know of at least four of these Flame Jet weapons being installed in East Sussex during the war. The second weapon was the Flame Fougasse or Barrel Flame Trap. These were batteries of 40-gallon oil drums dug into roadside banks; an explosive charge could be dropped down a length of drainpipe at the rear and detonated, forcing the incendiary mixture to be projected across the road and general area. I recently discovered a map in the archives plotting all the fougasses in Sussex; I don't have exact statistics at the moment, but I estimate about 150 of these weapons in East Sussex. 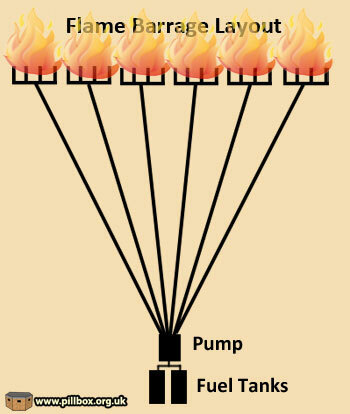 The Barrel Flame Trap was developed, with a Hedge-Hopper variant that could be projected over walls or other obstacles. The standard device was also used by the Greeks against the Germans in 1941, with encouraging reports of its effectiveness. This is the weapon that commands so much attention and misconception. The sheer contradiction of water catching fire seemingly mesmerises those who read about this device. 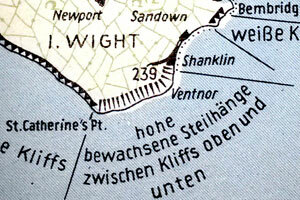 Tests from August 1940 were conducted in the Solent and later at Studland Bay in Dorset in order to perfect the technique. 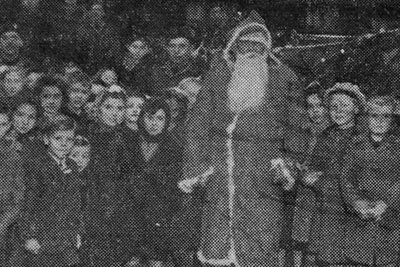 There were setbacks; the winter conditions in December 1940 caused a crucial demonstration before the top brass to become a damp squib. As a result of this failure, a significant modification to the weapon was suggested and in March 1941, the weapon was blessed by the Chiefs of Staff. We'll return to the modification later. The basic concept is shown at right; fuel from tanks is pumped along a network of 2-inch pipes that terminate in a series of high-pressure nozzles. Naval flares were then used to trigger the conflagration. The British issued a propaganda leaflet in early 1941 aimed at undermining German morale with regard to the problems and potential catastrophes that could overwhelm their invasion of Britain - including incineration as the sea catches fire. For images and information about the leaflet, please go to Lee Richards' excellent website: http://www.psywar.org/product_1941EH473.php. A further propaganda element were reports in the foreign press that claimed thousands of Germans had died during a failed invasion attempt and burned bodies were washing up on the beaches. Now consider the photograph below; it is one of a famous series of the sea burning at Studland Bay during the trials. So, we have wartime propaganda that highlights the presence of a British weapon that sets the sea on fire and we have photographic evidence that this was achieved in 1940 at Studland Bay. However, the sea flame barrage as an actively-installed weapon is a myth. The modification to the flame barrage for the final trial was to terminate the weapon above high tide, so that the Sea Flame Barrage effectively became the Beach Flame Barrage, also known as the Flame Barrage, Land (FBL). 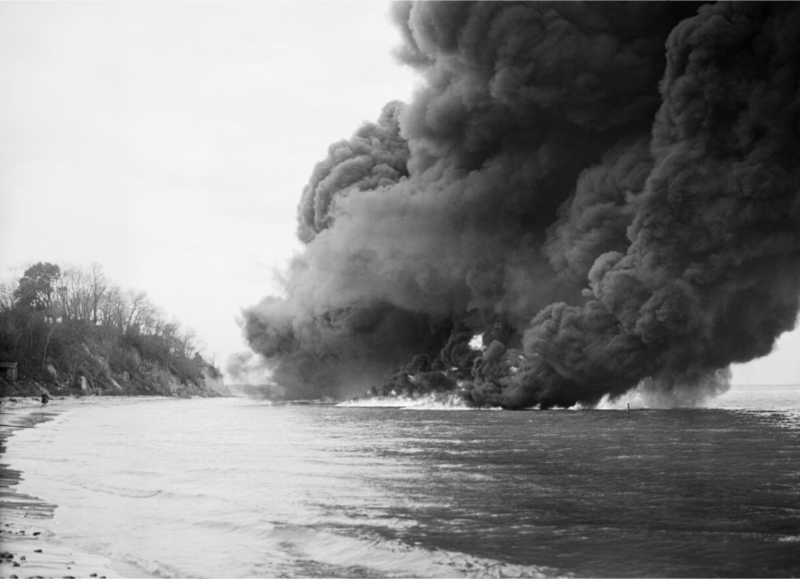 Aside from the failure to ignite the barrage in colder water temperatures, wind could cause the oil to disperse in pools on the surface, thus creating gaps in what was supposed to be a continuous wall of flame. These shortfalls were avoided by igniting the oil on the beach. A GHQ document dated 1 March 1941 acknowledges the sea flame barrage, but notes that it appears "less effective than upon land." Even so, it seems that no sea flame barrages were ever constructed beyond the prototypes. The PWD's official instructions for barrages includes both land and sea versions, but a document from October 1941 identifying requirements for all the UK Commands talks only of "Beach Flame Barrages." One unsolved problem common to both types of barrage was that of smoke; although an undeniably devastating weapon, the sheer volume of smoke generated was in danger of blinding both ground and anti-aircraft defences at a critical point during the beach assault. There were other problems, namely the amount of materials required in their construction and additional men having to be found to man them. As a result of this, South Eastern Command rejected the FBL and did not put in for an allocation. However, it appears that GHQ overruled this decision, and so 17 FBLs were installed between Camber in Sussex and Sandwich in Kent. 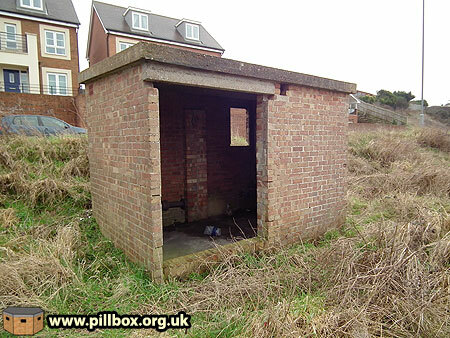 There were two FBLs at Camber, covering a frontage of 400 yards. 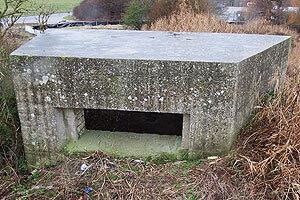 The pump houses still survive dug into a roadside bank; the eastern one is shown below. 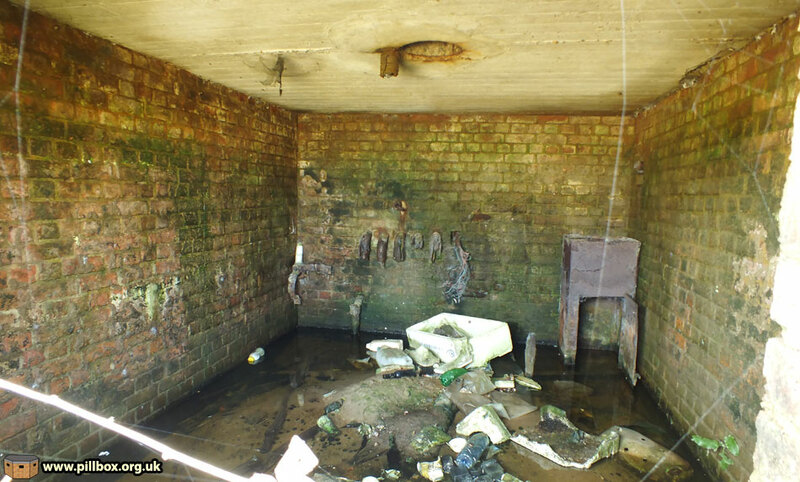 The interior is a mess, but some evidence of the pipework can be seen on the rear wall. The complexity of the equipment was such that engineers had to be responsible for operating the FBL. An ingenious system allowed the FBL to be worked by remote control from a safe distance of 800 yards within a defended locality. 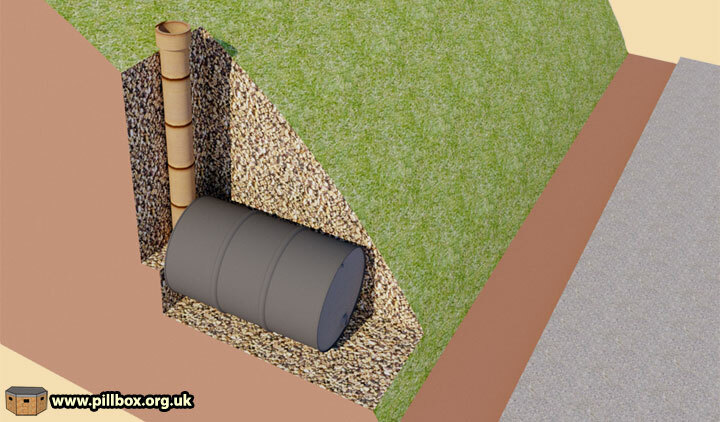 Work on the Camber FBL was delayed until 200 yards of minefield could be cleared to allow the pipelines to be laid, but the device was eventually tested with some success. According to Rye Museum Association's book Rye's War (2002), the test left the beach groynes scorched for some years after the war, and the shingle was turned pink and white by the high temperatures. The only device in East Sussex I know of involving fire near water was a fire boom across the narrows of Newhaven Harbour. Although there was an official Admiralty plan ("F-Scheme") to install flame throwers at selected harbours, Newhaven already had its boom and so this was retained instead. The boom comprised two pipes floated across the harbour, supplied with oil from a large tank on the western side. The boom pipes were on floats and from a report and photograph of a test in January 1942, it appears that the burning oil was simply projected 20-40 feet from the nozzles, and so not an attempt to actually set the water alight. It took 45 minutes to set the boom in place; it was mounted on the western side and swung across the water. The boom was abandoned after being struck by a landing craft later in 1942. One problem apparent from the photo of the test is that it produced a large amount of thick, black smoke. 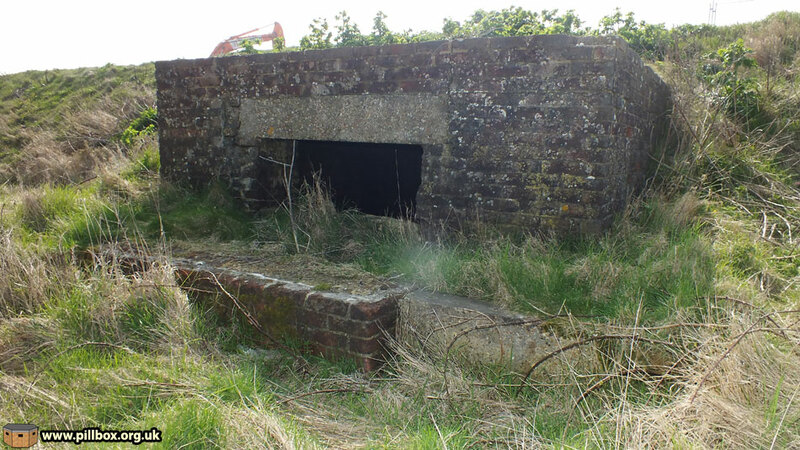 If you've seen one of my talks, you'll know that the pump house at Bishopstone (photo at right) is the bane of my life. Somehow, rumours abound are that it was used to pump oil onto the sea, to be ignited in the event of invasion. This theory is not supported by the archive documents. A similar sea flame story is wrongly associated with large oil tanks that were removed from Hastings shortly after the war. In fact, in both cases, I'm satisfied that these installations were actually related to landing craft berths on the coast. The first problem is this; the presence of pump houses and large oil tanks immediately causes people to make a connection with sea flame barrage. The second problem is that stories I hear of the sea being set alight are also technically incorrect. 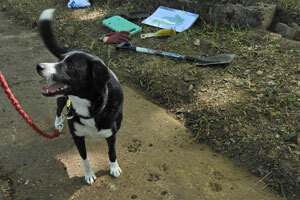 Yes - this was the original plan, and yes - the technology was successful in good weather. We have documents and photographs to prove this. But we also have documents to prove that the modification to the plan involved burning the oil on land, not on water. The myth of sea flame barrage is still strong today; the latest story I heard was that archaeologists have found pumping equipment at Cuckmere Haven; I can categorically rule this out! People are still clinging to sea flame because it's a good story and it has a basis in proven fact. This sounds a bit like propaganda, which is the only real use the sea flame barrage had as a weapon of war.